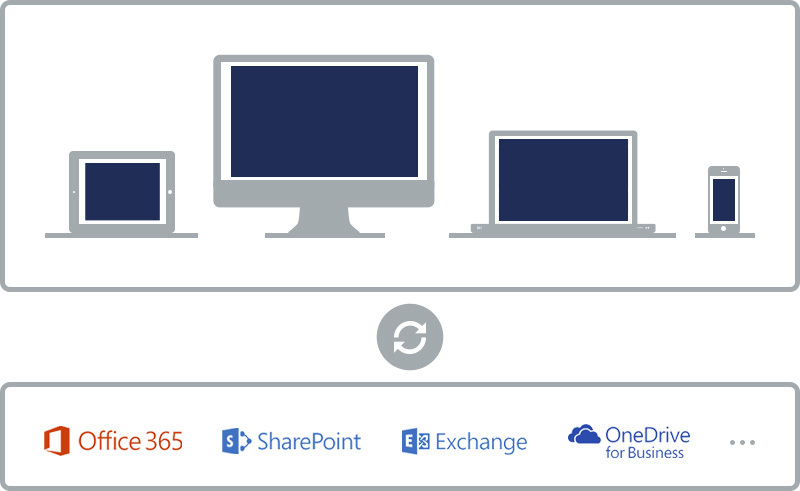 Colligo makes it easy to interact and sync with SharePoint from Outlook, Excel, Word and PowerPoint regardless of the types of desktop and mobile devices you support, or how far along you are in adopting Office 365. 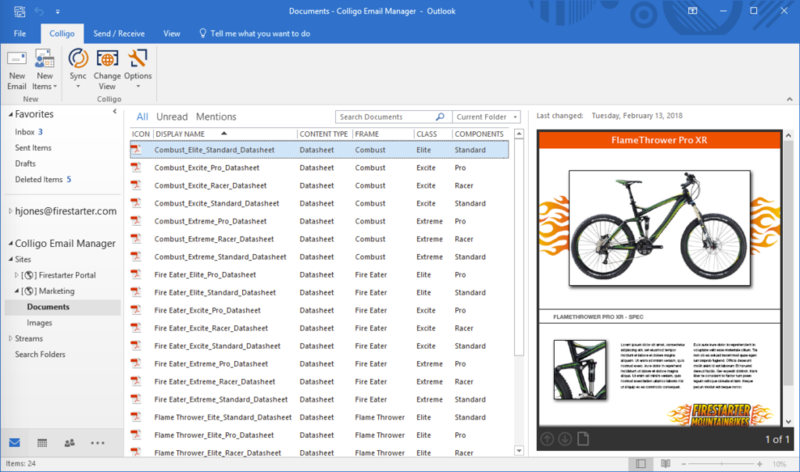 Colligo apps integrate into familiar Microsoft applications including email, making it easy for user to connect and save to SharePoint without changing work routines. 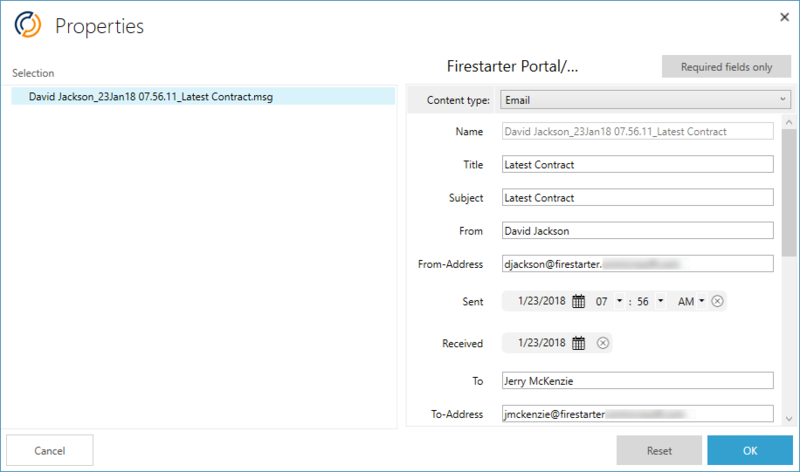 Upload documents, emails and attachments directly into Office 365/SharePoint without disrupting the natural flow of work or having to open the browser. In Outlook, drag & drop to save emails and/or attachments into SharePoint without leaving Outlook or saving files locally. 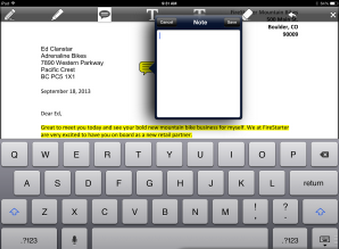 With the Office 365 and iOS apps, save documents into SharePoint directly from a mobile device. With the Windows app, save content into SharePoint by dragging & dropping individual or multiple files in folders. Meet compliance requirements and facilitate search with complete metadata tagging capabilities. Colligo technology isn’t just about “connecting” to content, it’s an intelligent engine that automatically resolves conflicts and makes all relevant content available to users, even when offline. User decides: Picks entire groups of files (e.g. a library or folder) or individual files to sync and selects sync frequency. Content manager decides: ‘Pushes’ content to users or groups of users for anytime access. 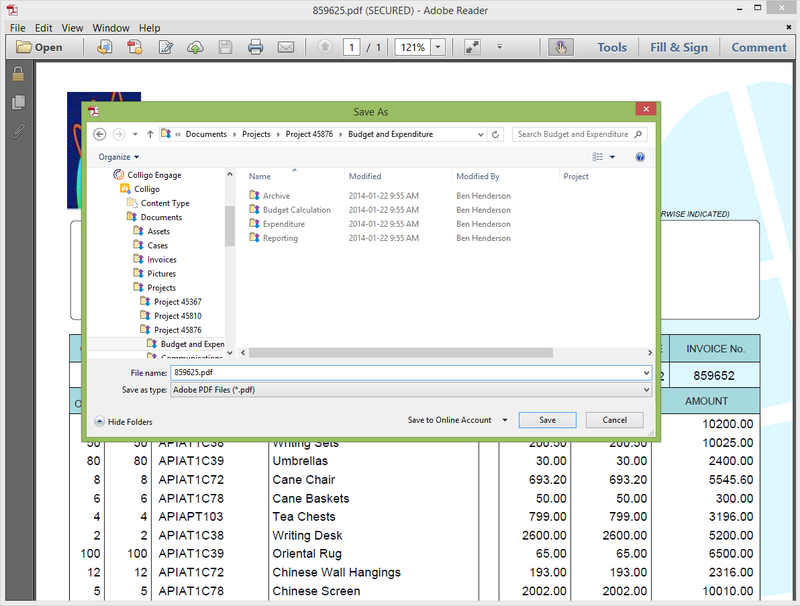 Edit files locally, whether connected or offline, and automatically sync back to enterprise systems. Open and save files to SharePoint/Office 365 from any application, not just Office. On iOS devices, easily mark-up PDF’s with built-in annotation tools and edit Office content with integrated Citrix ShareFile QuickEdit. View any SharePoint/Office 365 or OneDrive for Business files, including Office documents, PDFs, images and emails, without a browser. On iOS and Windows devices, also view standard and custom lists, including events, issues, links, contacts, announcements, tasks and agendas. 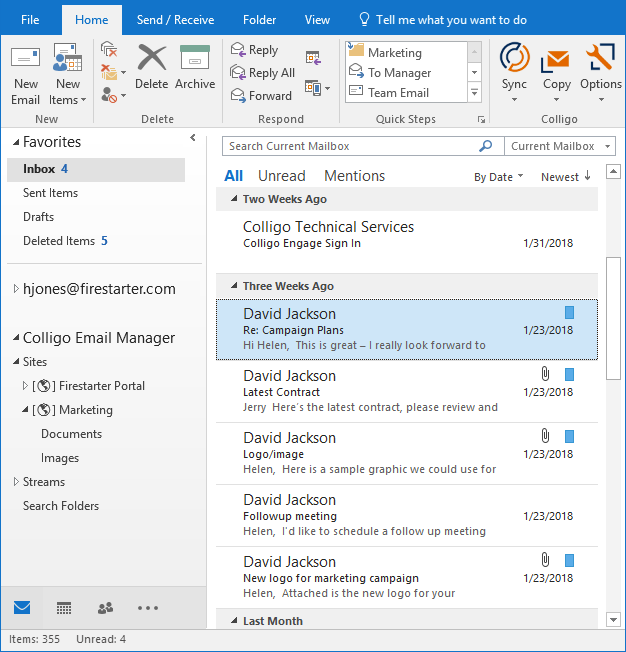 With the Colligo Email Manager for Outlook app, simply click any SharePoint document from the Outlook folder tree and preview content directly in the Outlook preview pane. With the Windows app, see SharePoint libraries as folders in Explorer and simply click to view.